Microsoft is going to release Windows 10 May 2019 update by the end of May 2019. The update will be rolled out in waves, so chances are not all devices will get the update immediately. For the users who can’t wait till May to upgrade their systems to Windows 10 May 2019, we have already covered an article on how to get Windows 10 May 2019 update by joining Windows Insider Program. Some users might want Windows 10 May 2019 update iso images, so that they can perform a clean installation, right? It is only possible to grab the official iso images using the Media Creation Tool. At the moment, MCT just let users download 1809 version of Windows 10. 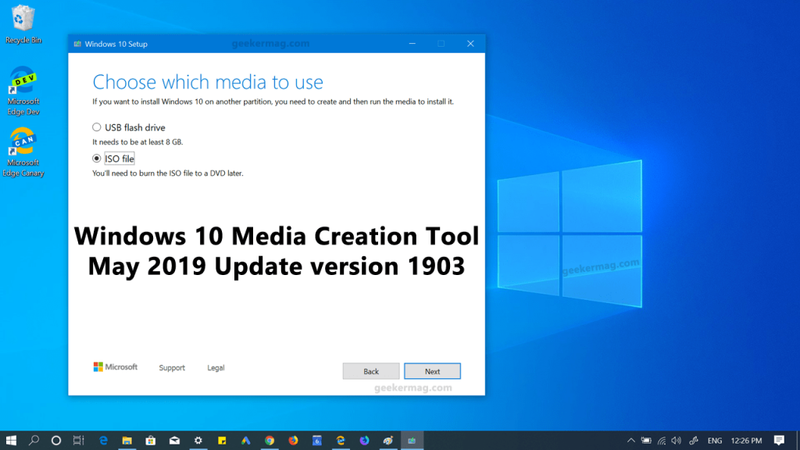 According to information shared by German site HTNovo.net, the Media Creation tool is updated to version 1903 build 18362.1. It means users can download iso images or update directly using the tool. Download the latest version of Media Creation Tool using this link and run the tool. When UAC dialog box comes up, click Yes to continue. Next, follow the on-screen instructions to update the system to the latest version or grab the iso files. 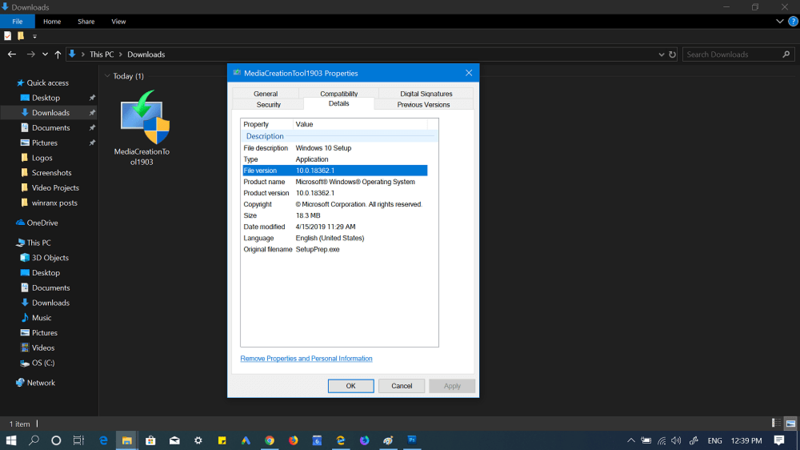 You can check our previous article on How to Download Windows 10 ISO Images using Media Creation Toolfor step by step instructions. Are you going to grab the ISO images for Windows 10 May 2019 Update, or will you wait for the official release? Tell us in the comments.